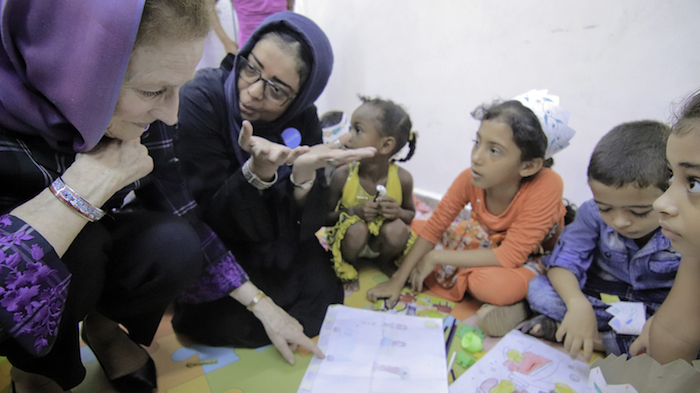 UNICEF Executive Director Henrietta H. Fore demands immediate action by warring parties and the international community to save and protect Yemen's children. Yemen's citizens are trapped in a nightmare. With infrastructure destroyed and the nation's economy in ruins, 8 million Yemenis already depend on emergency food aid to survive. That figure could rise to 14 million — half of Yemen's population. 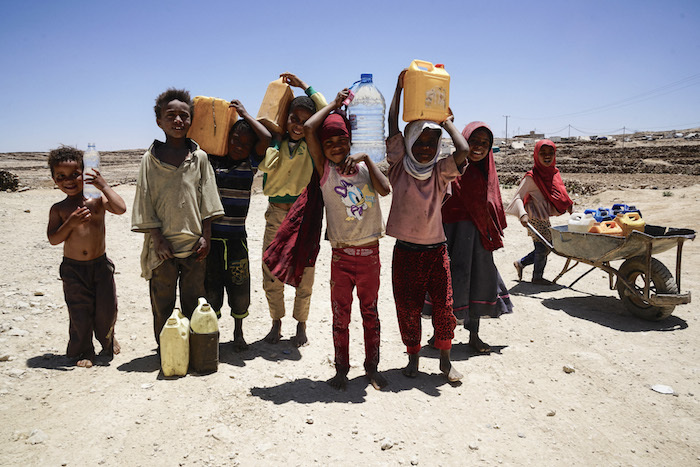 "Millions of desperate children and families across Yemen could soon be without food, clean water or sanitation services because of the deepening economic crisis and unrelenting violence," says UNICEF Executive Director Henrietta H. Fore. "The cost of food, fuel and water supplies has skyrocketed as the value of the national currency has plummeted. Water and sewage treatment services are at risk of collapse because of soaring fuel prices — meaning many of these same children and families may also be without access to safe water and sanitation." Water, food, fuel and other basic resources remain in critically short supply. Yemen's cholera outbreak is accelerating again, and hundreds of thousands of children are at risk of severe acute malnutrition. When a country's essential systems and services break down, Fore noted, "children are the first to suffer as their health, education and protection needs are overlooked. Unless we act now, the impact of this war will haunt us for generations to come." Even if the conflict were to end today, Fore said, it will take years for the country to rebuild. "The children of Yemen need to heal. They need justice. They need lasting peace, now." Learn more about the Yemen crisis. Support UNICEF's efforts to bring clean water, health care, nutrition, education and protection to Yemen's children.